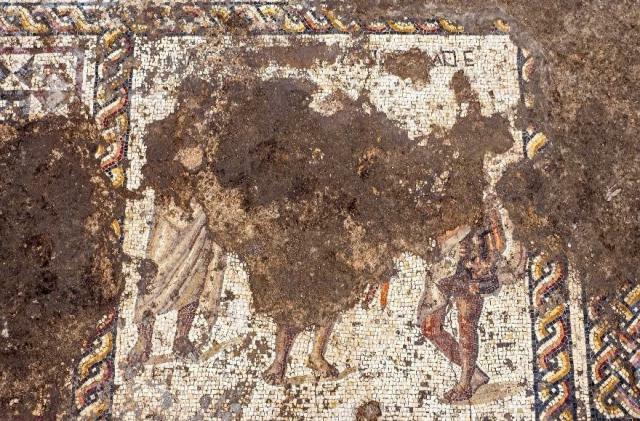 A rare mosaic was found by Israeli archaeologists during excavations in the port of Caesarea. Mosaic dates from the II – III centuries. AD It was discovered under a Byzantine building of 1,500 years old. 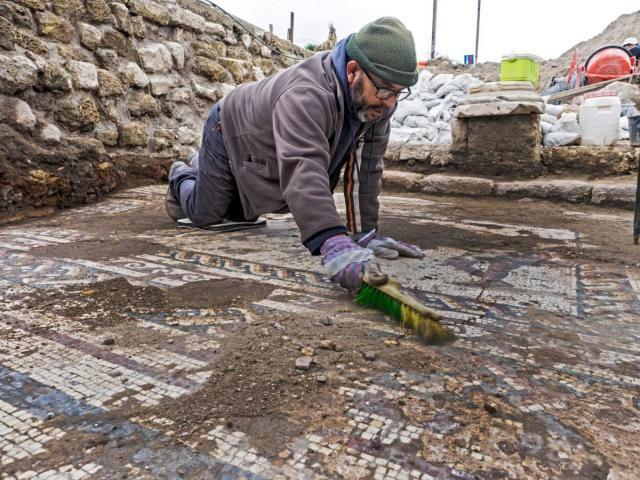 The area of ​​the mosaic-covered floor is 3,5х8 m. It shows three male figures, colored geometric figures and a long inscription in Greek, which was damaged during the construction of the building of the Byzantine period. All three figures were clothed in toga and portrayed representatives of the elite, perhaps the owners of the house, although the purpose of the building that existed here has not yet been clearly established. According to the researchers, the mosaic is of very good quality. It is made up of small stones. One square meter of the mosaic included about 12 thousand elements.